Our city is blooming with Art. 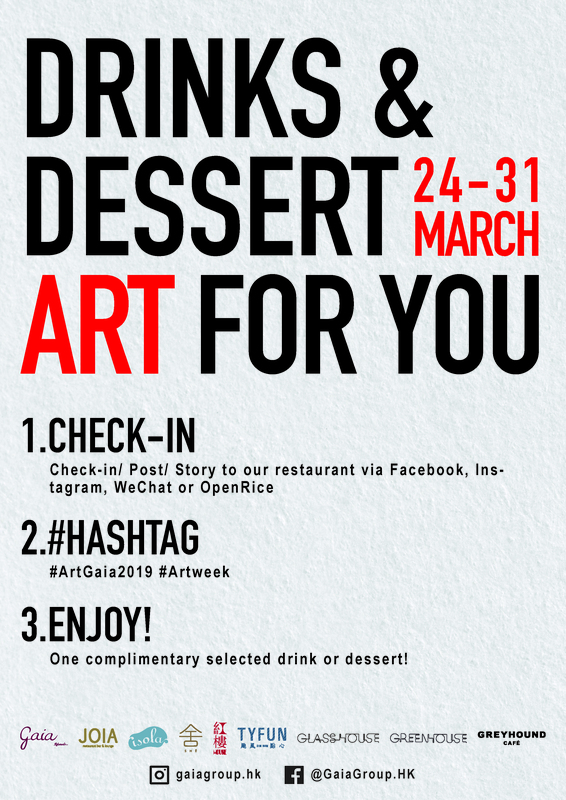 Gaia Group is excited to launch a special “Drinks & Dessert ART For You” promotion from 24 – 31 March! And you can enjoy one complimentary selected drink or dessert with any dine-in spending!